In Part I of this article we discussed the care of the Tropical Girdled Lizard (Cordylus tropidosternum), one of the most commonly available of the 37 interesting species in the genus Cordylus (among the Girdled Lizard’s relatives is the much sought-after Armadillo Lizard, C. cataphractus, see photo). Also known as the East African Spiny-tailed Lizard, its unique appearance and behaviors are quite captivating. Today we’ll cover captive reproduction in more detail. In their native South Africa, Tropical Girdled Lizards hibernate during the winter, and a cooling off period was believed necessary to induce captive reproduction. Good results are usually achieved after captives have been held at temperatures of 58-60 F for 4-6 weeks. During this time they move about a bit, and drink, but do not feed. However, I’ve recently received reports of captive births (females bear 1-4 large, well-developed youngsters) among lizards subjected to little if any change in temperature. In some situations, normal seasonal fluctuations in the temperature of the room in which the lizards are held seems to be enough to stimulate reproduction. In the most recent breeding of which I’ve been informed, births occurred in a terrarium maintained at an ambient of 77 F with a basking site of 95 F. The room in which the terrarium was located was heated during the winter and air conditioned during the summer, which may have “switched seasons” on the lizards, but they bred none-the-less. In another situation, the terrarium was in a room maintained at approximately 75 F year-round, but, being near a window, may have been subjected to the effects of outdoor temperatures. Tropical Girdled Lizards seem to form loosely connected colonies in the wild; captives usually fare well in groups, but dominant individuals sometimes prevent others from feeding and basking. Young lizards should have access to UVB light. However, they are quite shy, and may not bask often, especially if adults are present. Also, they tend not to climb to the top of rock piles and such when basking, preferring to remain at or close to the terrarium’s floor – at which point they may be too far from the bulb to obtain adequate UVB exposure. Therefore, newborns are best removed to shallow enclosures, in order to maximize UVB exposure (they should be able to bask within 6-12 inches of florescent UVB bulbs). A Zoo Med 10.0 UVB bulb positioned within 6 to 8 inches of the basking site, is ideal. Mercury vapor bulbs can be used in situations where the basking site cannot be positioned within 12 inches of the bulb. A source of UVA light, while perhaps not critical for survival, will help to encourage natural behaviors and reproduction. Recently I have helped to set up new reptile and amphibian exhibit areas for The Maritime Aquarium in Norwalk, CT (long known for its excellent collection of native marine life), and was happy to learn that Girdled Lizards have reproduced there (off exhibit). A listing of all 37 Cordylus species, along with range and other information, is posted here. While the role of UVB light in reptile care is well-understood, we know less about UVA. 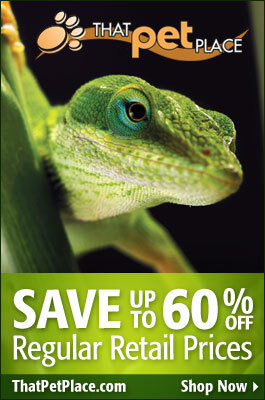 For some thoughts and observations, please see Providing UVA to Reptiles and Amphibians.